The defence ministry said late Friday an artillery shell exploded “accidentally” at the base at Sungu Tepe in Hakkari province near Turkey’s borders with Iraq and Iran. It said 25 soldiers were injured and seven missing after Friday’s blast. 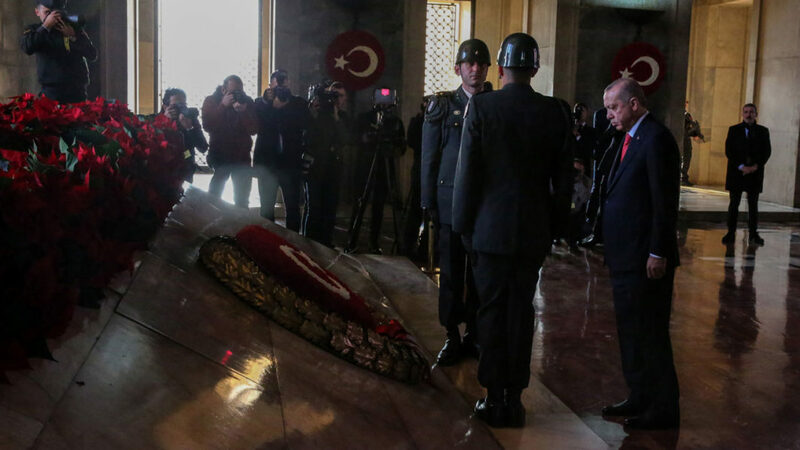 Erdogan said in a televised speech Saturday that four soldiers were “martyred” and “about 20” others wounded. He made no mention of any missing. It was not clear whether the explosion happened during a combat mission or an exercise. Turkey’s predominantly Kurdish southeast has seen years of violent fighting between the Turkish army and the Kurdistan Workers Party (PKK), classified a “terrorist” group by Ankara and its Western allies. Turkey also regularly bombs PKK bases in northern Iraq.After a brief truce, fighting resumed in 2015, shattering hopes for a peaceful resolution to a conflict that has claimed more than 40,000 lives since 1984.